The engraved Elite wine glass is 10oz and made of quality 24% lead crystal. 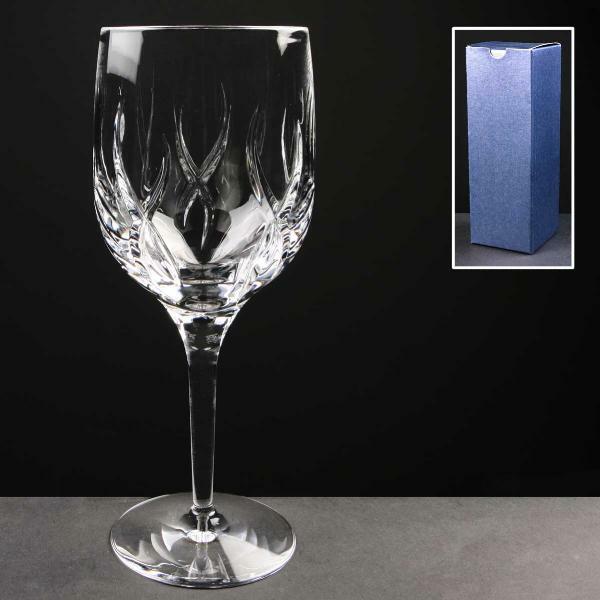 The lead crystal wine glass is supplied in a rigid gift box, but can be upgraded to a a satin lined presentation box. The price includes up to 50 characters engraved for free. Additional characters or a logo to personalise your wine glass can be ordered. The size of the Elite panelled 10oz wine glass is approximately 2.95" wide, 2.95" deep and 7.5" high, with an engraving area of approximately 2.3" wide by 2" high. The postage rate for one engraved Elite wine glass is Band B.